B A N C O: The Recall of James The Puppet Hightower and Rev Pinkney Exoneration ! The Recall of James The Puppet Hightower and Rev Pinkney Exoneration ! The recall election was schedule to be held May 6 2014, but at the mayor's request, the Berrien County sheriff's Department began investigating the petition campaign, intimidating residents who signed petitions in April 2014, prosecutors decided to charge Rev Pinkney with voter fraud (five felonies), and soon after , a judge cancelled the recall election. In an alarming display of force , a SWAT team was sent to Rev Pinkney's home to look for him. at a preliminary hearing May 23, 2014, no direct or indirect evidence again Rev Pinkney was presented, and prosecutors say they need only circumstantial evidence to convict him. In June , 2014 the judge ruled that the trial could go forward, The trial began on Oct. 27, 2014, and the jury returned a guilty verdict on Nov. 3 2014.The Berrien County court that convicted Rev Pinkney showed how far they were willing to go by playing the race card. During jury selection they aggressively expelled all African -Americans, leaving the trial to be decided by an all white jury. No one on that jury was from Benton Harbor or had lived under a emergency financial management. It is next to impossible for a Black man from the poorest town in Berrien County to get a fair trial from an all white jury from the richest towns in the county. This issue was central to the case and calls into question the definition of a trial by one's peers and the meaning of due process. During the trial, the prosecution admitted there was no physical evidence linking Rev Pinkney to the crime they were charging him with. And yet the prosecution repeatedly introduced examples of Rev Pinkney exercising his first Amendment right to free speech, his political activities and community activism as evidence he committed the crime. 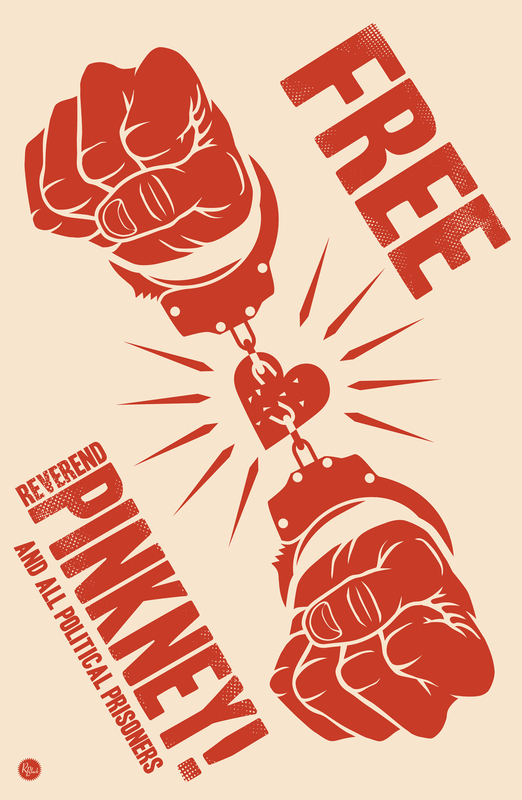 On Dec 15, 2014 Rev Pinkney was sentenced to 30 to 120 months in prison, and surrender to authorities that day. He appealed his conviction in 2015 and on July 26, 2016, the court of Appeals of Michigan affirmed his conviction. Rev Pinkney was released on a 12-month parole in June 2017 after serving 2.5 difficult years in prison. At times he felt his life was in danger by prison as the result. In a tremendous victory for the people in the fight against naked corporate power, Rev Pinkney was exonerated. 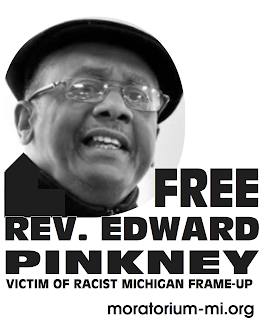 In November 2017, the Michigan Supreme Court heard Rev Pinkney's appeal and on May 1 2018, the court overturned his conviction. The Michigan Supreme Court ruled 6-0 that Rev Pinkney was improperly charged with five felony counts of election forgery in 2014 by the Berrien County prosecutor, that he was improperly charged was improperly tried and sentenced by the Berrien County Circuit Court, and improperly served 30 months in Prison as a result.